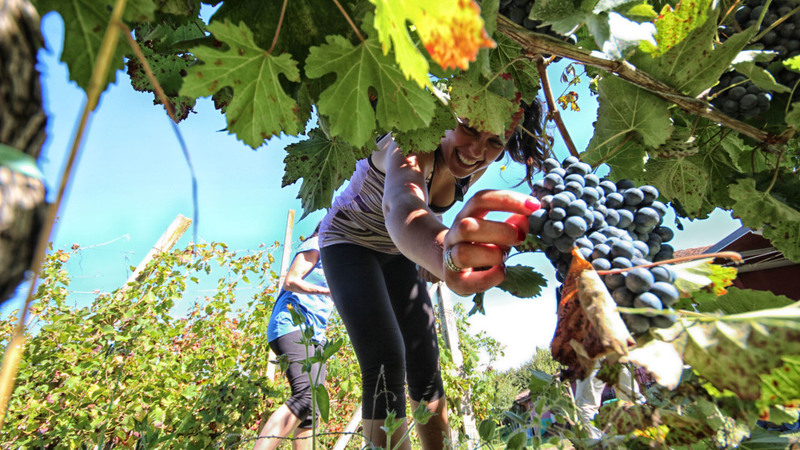 DAY 1 – Welcome to Emilia Romagna! Departure from Bologna/Milan airport and transfer to Castello di Rivalta, check-in, visit of the castle, e-bike briefing and test drive. 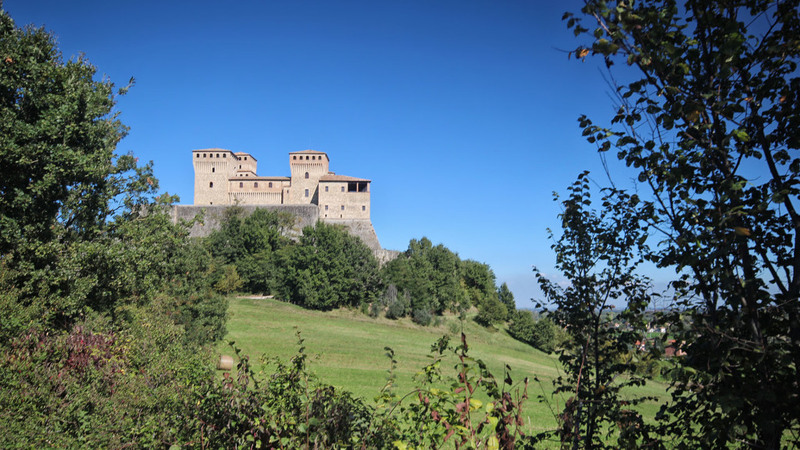 First destination of our e-bike ride is the Castle of Agazzano that we will visit. The Castle complex consists of two portions and a wide terraced garden-park overlooking Luretta Valley. The Castle is a beautiful combination of the medieval defensive architecture and the style of the typical renaissance aristocratic mansions. 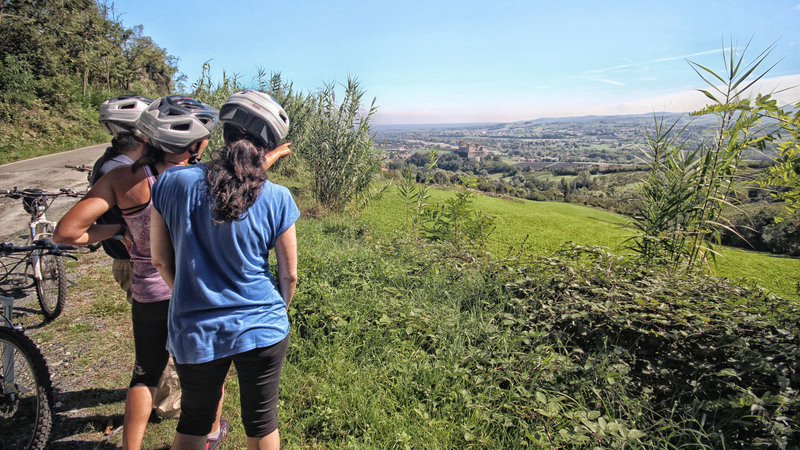 We then ride to Rezzanello and we stop at the Castle, which is in an excellent state, with lean round towers on the top, and situated in a spectacular park in a beautiful panoramic position. The next stop is the Castle of Momeliano. 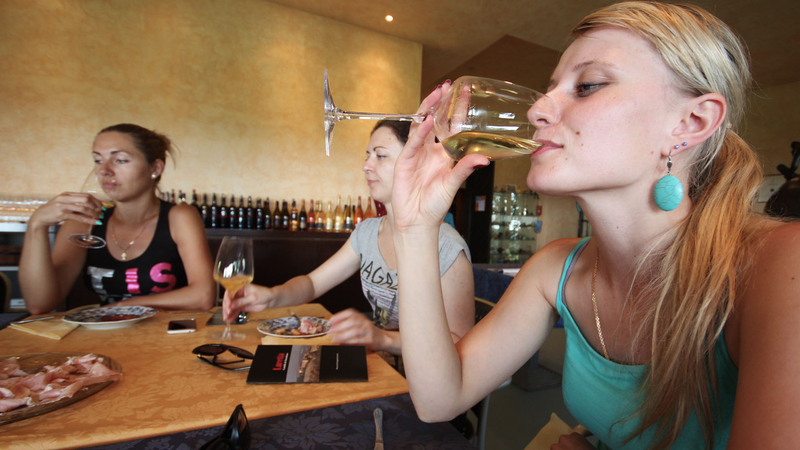 Visit to Luretta Winery where we’ll taste excellent wines accompanied by typical cold cuts. We will then ride to Val Trebbia along a stunning panoramic road and then back to Castello di Rivalta. Transfer by minibus to Travazzano. 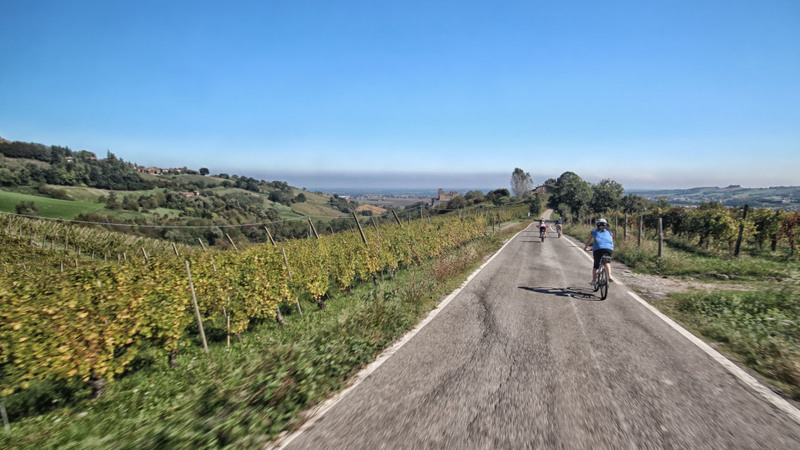 Here we’ll start our ride to Diolo, passing by Vigolo Marchese, a small hamlet within the Municipality of Castell’Arquato, well-known for its high quality wines and for the Romanesque complex of the Church and the Baptistery of San Giovanni dating back to the 11th century. Stop at winery, visit, wine tasting. We continue our tour to the ancient medieval city of Castell’Arquato, where we visit Piazza Monumentale, the Collegiata Church of Santa Maria, the Palazzo del Podestà and the Visconti Castle. 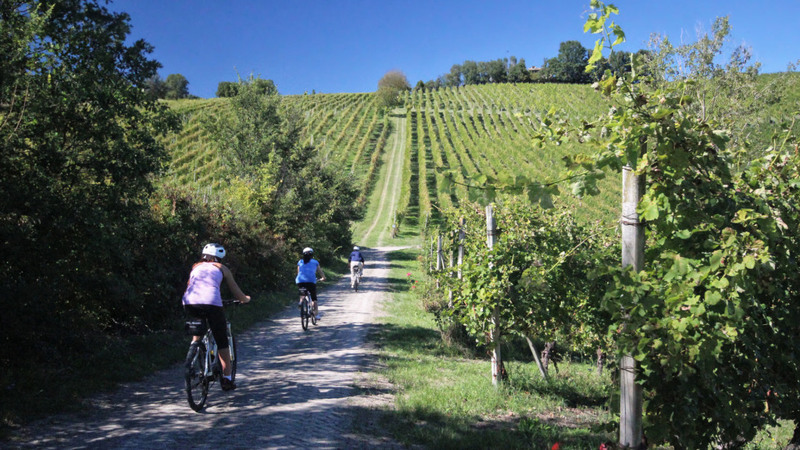 We take again our e-bikes for a ride along a panoramic road with breathtaking views of the vineyards cultivated in the Piacenza hills to reach the charming Castle of Vigoleno, one of the most preserved fortified ancient villages in Italy. Return to Castell’Arquato, accommodation at the Hotel de Charme Leon d’Oro, relax and dinner. Transfer by minibus to Busseto. Visit to the National Museum of Giuseppe Verdi and quick look at the Verdi’s birthplace at Roncole Verdi. 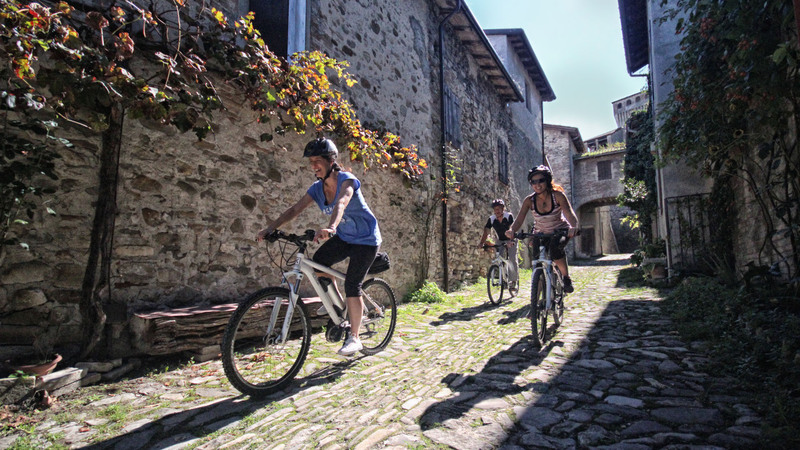 Departure by e-bike for the Pallavicini Old Fortified Castle of Polesine Parmense. Stop at Zibello to taste the delicious DOP “culatello”. Then, we ride to Soragna, a village hosting the magnificent residence of Princes Meli Lupi. We continue our ride to Fontanellato where the stunning medieval Sanvitale Castle is waiting for us right in the middle of the city. Transfer by minibus to Parma. Check-in at the hotel, relax and dinner. Transfer by minibus to Mamiano di Traversetolo. 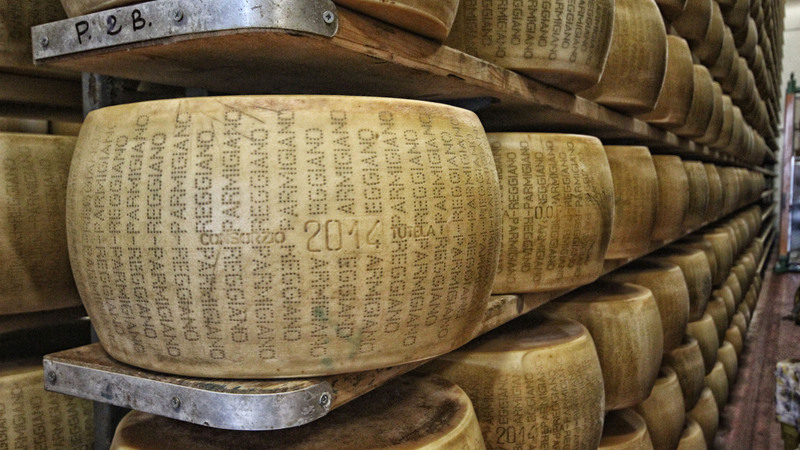 Visit to cheese factory producing the renowned Parmigiano Reggiano, the king of cheese. 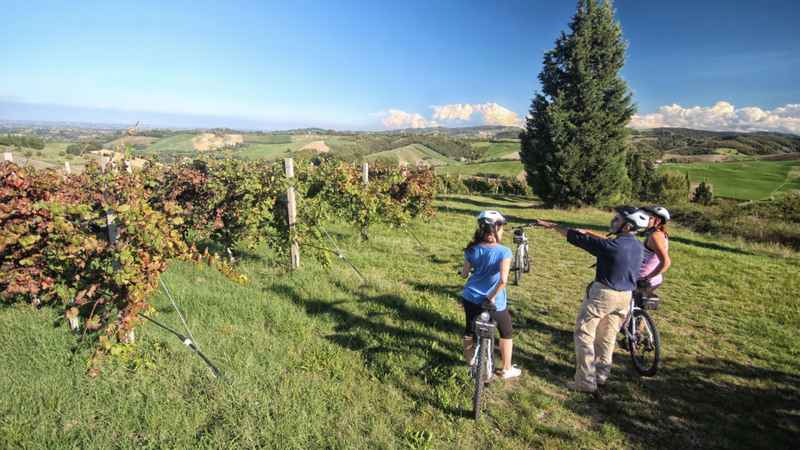 Departure by e-bike to Parma Valley, stop at Badia di Santa Maria della Neve and visit of the Castle of Torrechiara, one of the most important and best preserved fortresses in Italy. Stop at a winery of the DOC area of Parma Hills and taste of typical cold cuts. In the afternoon we ride along the hills of the Parma Valley and reach the Felino Castle, hosting the Salame Museum. Return to Parma by minibus. Visit of Parma historic centre. Departure for the airport late in the morning.